Stylist Elisa Nalin, before Isabel Marant, Paris, October 2014. Print on print on print! 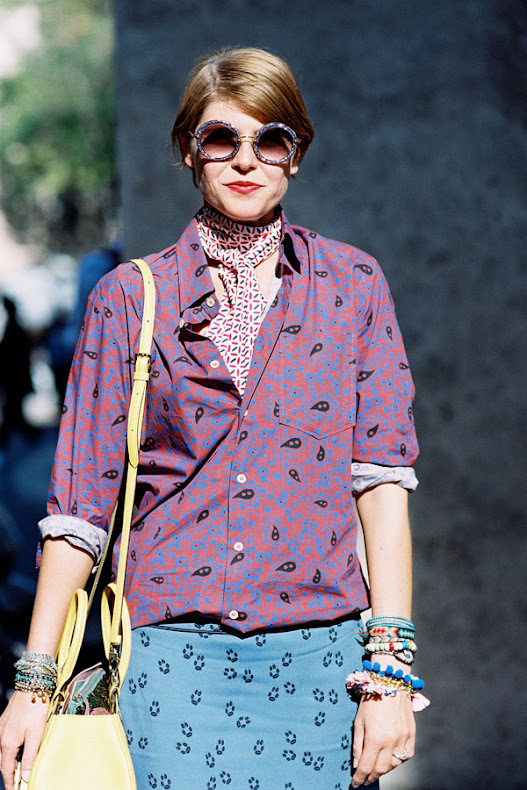 A printed button down shirt + cute paw print skirt + print scarf.